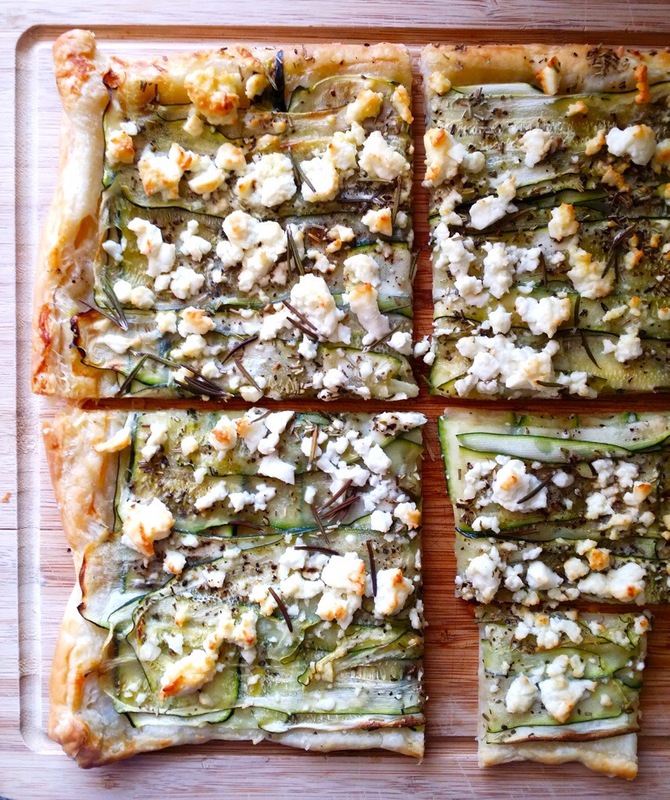 Recipe: 1 sheet of puff pastry, thawed 1 large zucchini, sliced into thin ribbons with a mandolin 100 grams sheep’s feta Fleur de sel (or kosher salt) Fresh black pepper Herbs de Provence Olive oil Fresh rosemary sprigs Preheat oven to 425° F Line a baking sheet with parchment Roll out your puff pastry and sprinkle some feta and drizzle a little bit of olive oil. 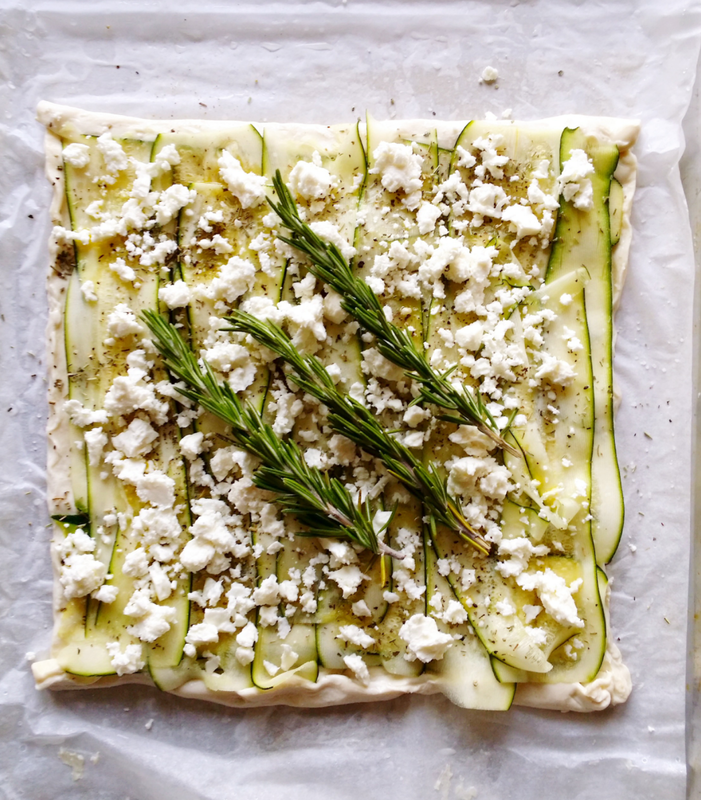 Place an even layer of zucchini ribbons over the pastry and then sprinkle with salt, pepper, herbs de Provence, olive oil, and feta. Repeat layers with remaining zucchini. Top with fresh rosemary sprigs and bake for approx 25 min or until golden brown and the pastry has risen. Slice when slightly cooled. Great as a main or as an appetizer. Enjoy!